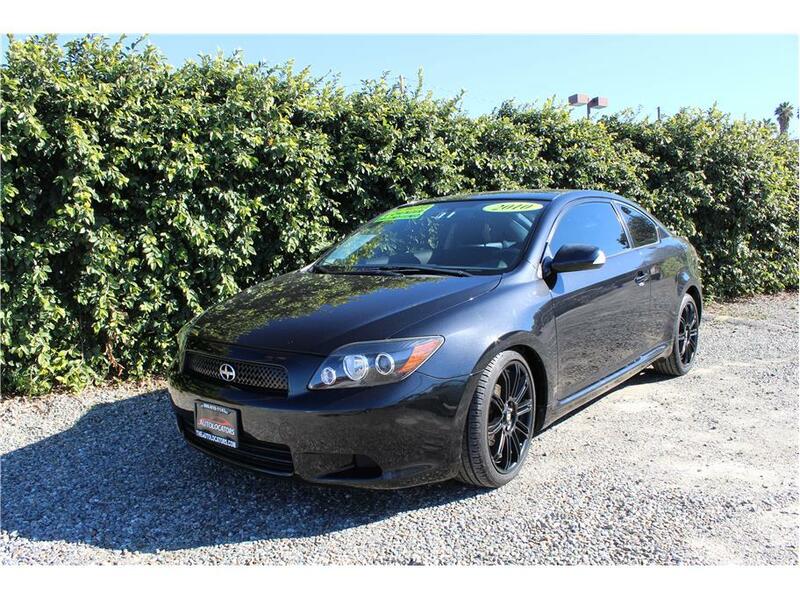 This 2010 Scion TC is one smooth looking ride with only 92K original miles on it. This TC comes with a 4 cylinder 2.4L motor, an automatic transmission and can get up to 29 MPG on the highway. Our Scion comes with great features like one inch lowering springs on all four corners, Drilled rotors, a front dash cam, black Drag wheels that are wrapped with 225/40/18 tires, power windows, power door locks, keyless entry, power mirrors, heating & air condition, cruise control, tilt steering wheel, a beautiful moonroof, and a Pioneer AM/FM CD player with IPOD connect. We had our Scion TC go through a compete 151 point inspection done by a licensed repair shop and installed a new cabin, just passed smog, and finished it off with a engine oil and filter change. Our TC is a smooth ride that looks good and is ready to meet its new owner. So come on down and take it for a test drive today.